*Visit the most recent data. 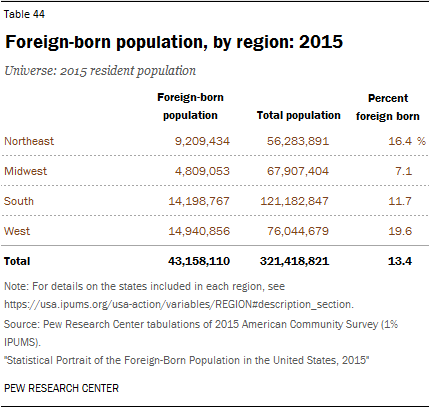 There were a record 43.2 million immigrants living in the U.S. in 2015, making up 13.4% of the nation’s population. 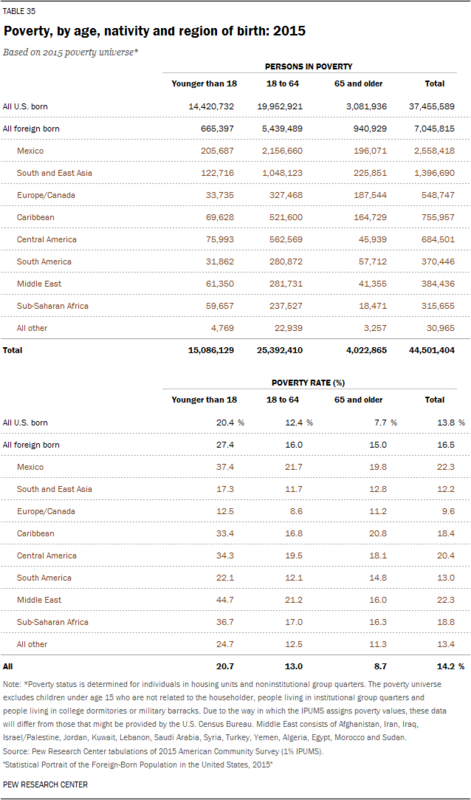 This represents a fourfold increase since 1960, when only 9.7 million immigrants lived in the U.S., accounting for just 5.4% of the total U.S. population. Click on the expand buttons below the summary tables to see detailed tables for each. Click here for a PDF of all the tables below and read the accompanying blog post. Download the Excel workbook. 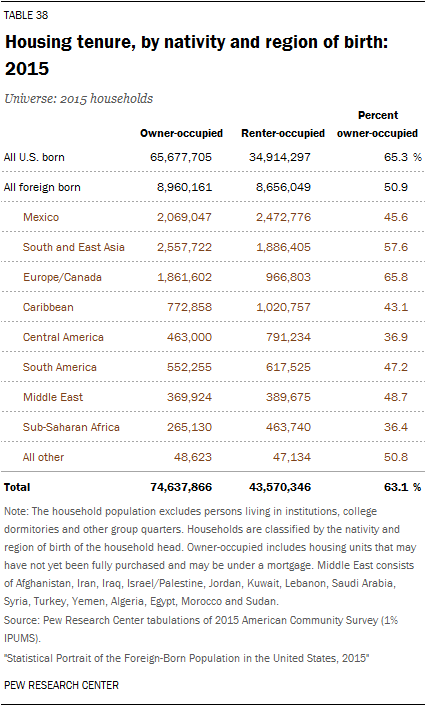 For a profile of the Hispanic population in the United States, click here. 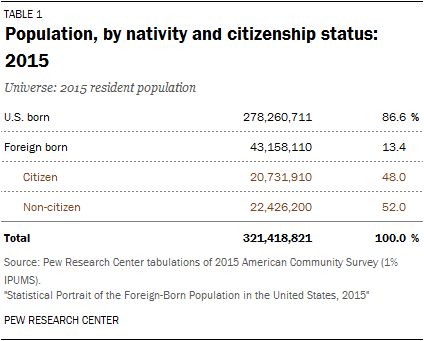 Population/Region of Birth/Nativity/Language Use/Race/Years in the U.S.